Our extended stay hotel in Vancouver, Washington features all suites with free wireless internet and neighborhood-style living. 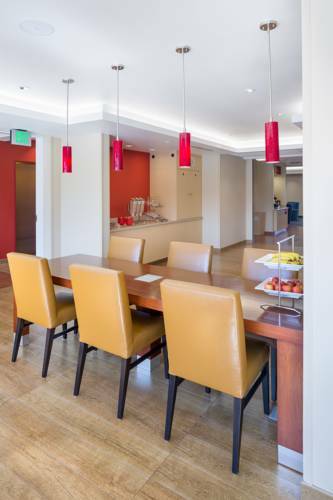 Our all-suite hotel, near Portland, Oregon features fully equipped kitchens including microwave and refrigerator. Vancouvers newest all-suite Vancouver, WA hotel is the closest hotel to PeaceHealth and Hewlett Packard campuses. Marriott TownePlace Suites Vancouver is located in a park setting, featuring biking and jogging trails and a weekly farmers market with fresh local items. Guests will find that our spacious suites, plush bedding, sleeper sofa, work desk and complimentary breakfast offer a comfortable living environment. Visit our fitness center for a great workout or the lobby business center to catch up on work. Gather on our patio with family and friends around our outdoor fire pit, BBQ and outdoor pool. Few hotels in Vancouver, Washington make you feel more at home during an extended stay, so book a suite today! Officially designated as a city park in 1948 -- all 452 square inches of it. An Airedale terrier that appears to be made of tar paper and styrofoam packing noodles, and whose mouth is hinged to flap. Watch fish jump, tour a dam power house, marvel at the Columbia River Gorge.